Summer is just around the corner, and most people are already starting their diet and exercise routine to prepare themselves for the season. But this shouldn’t be the case, people should always keep themselves fit and healthy all throughout the year, not only during the summer season. Through proper diet and effective exercise, a person may be considered physically fit. Physical fitness is defined as the ability to carry out daily tasks with alertness, energy, and without fatigue. It involves everything from getting out of bed to walking to working out. 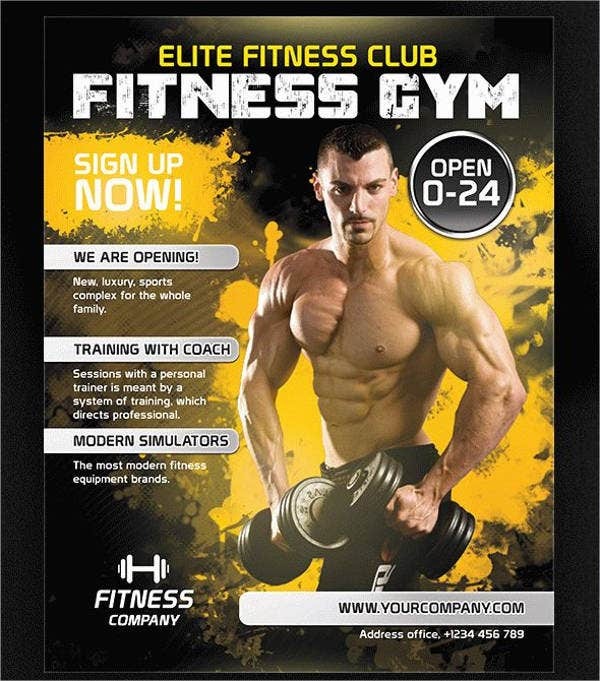 And for those who want to promote the importance of being physically fit, you may do so with the use of flyers. 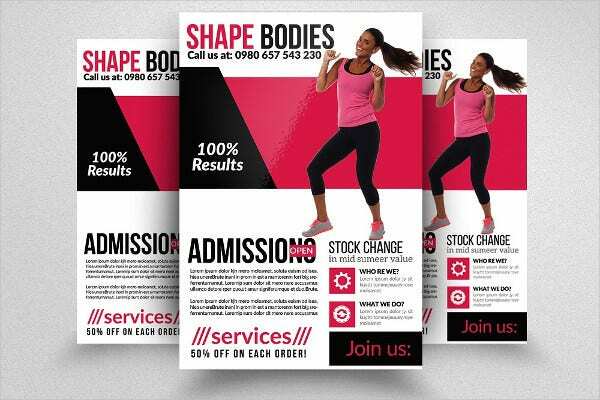 For that, we may just have the flyer templates that you are looking for. 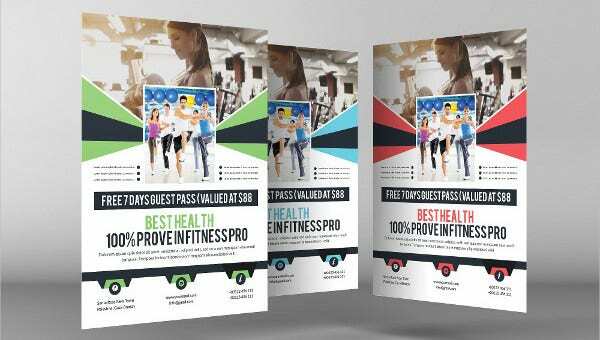 Flyers are tools used to promote companies, products, services, or events. 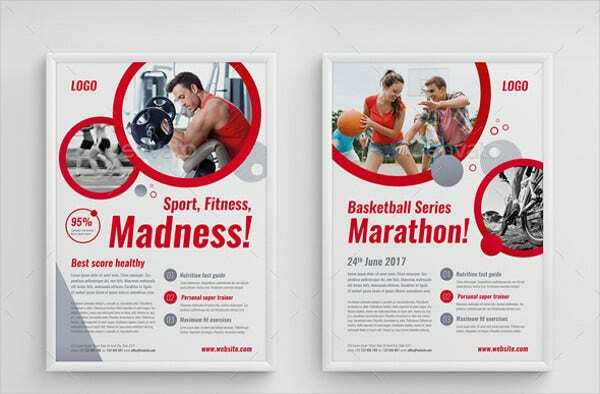 Though there are different means to advertise events, the distribution of flyers has always been proven as a highly effective way of advertising. Other advertising methods include radio and television commercials, posters, and newspaper ads. The reason I think that giving of flyers is more effective than other methods is since the advertiser personally comes in contact with the general public, they can right away provide answers to questions and clarifications. Flyers are easy to make (especially with the templates that we are offering). They are also very easy to distribute to the public. They don’t require a lot of spending. They are interesting to read and to look at. They can also stimulate the creativity of the advertiser. They may be able to provide feedback as to how effective the advertisement turned out. They can initiate direct interaction between the advertiser and the general public. They can easily reach the public through networking, wherein one person who received a copy of the flyer can show it to other people. 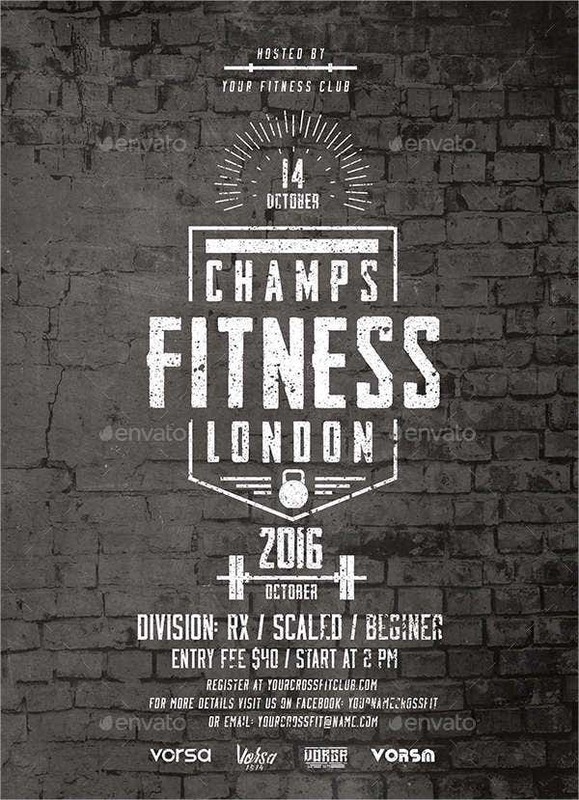 Looking to promote physical fitness to the public? 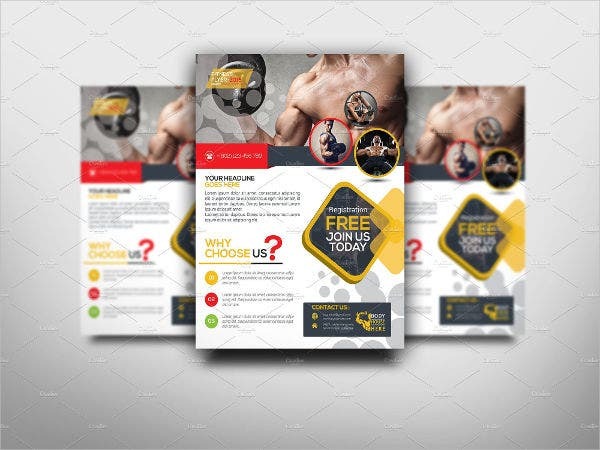 Check out our collection of fitness flyer templates here on our website. We’re sure you’ll find something that you can use. Making flyers may also become a stressful task. You need to make every information clear, while making the flyer attractive to gain the public’s attention. Make it easy to read. Organize all important information through bullets. Make sure to indicate the contact number somewhere on the flyer. Always refer to the reader in the second person point of view. Our templates were designed by creative and experienced graphic artists. Our templates are accessible and easy to download. Our templates come in high resolution PSD, Vector AI, and EPS formats. 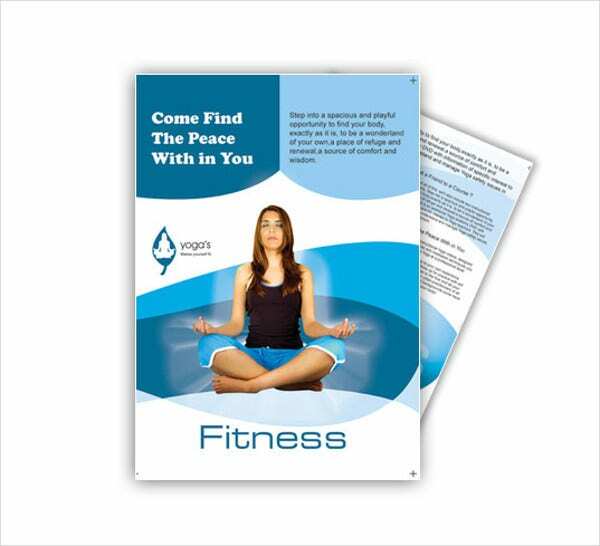 Our templates can be downloaded for a very reasonable fee. Our templates are compatible with any photo manipulating software and are fully editable. 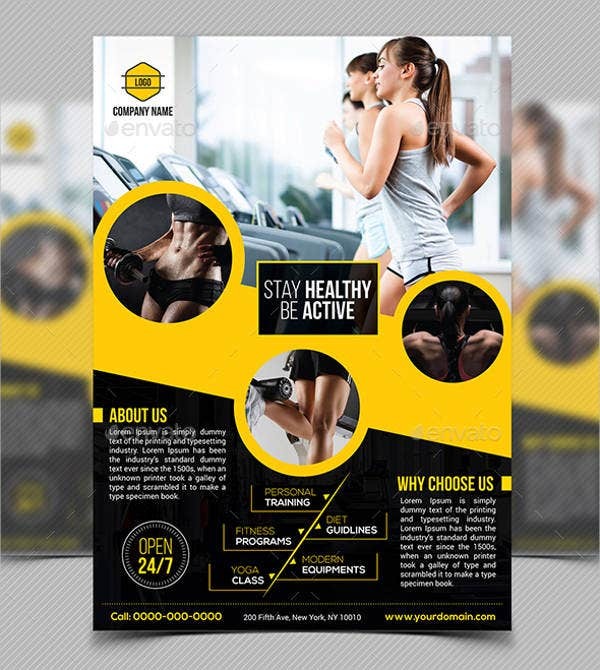 We also have a collection of gym flyer templates for those who are managing fitness gyms and are planning on promoting their business. But if you couldn’t find what you were looking for on this page, the scroll down to the bottom and check out the links to other related contents found on our website.